I was pretty stoked to dive into last month’s offering from King Bone Press this week, since I’m a big fan of books that feature writers doing their own art. As a certified David Lynch stan, I’m always here for a good auteur outing in any medium. 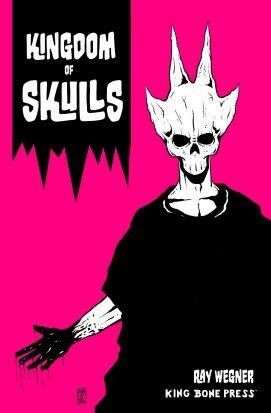 The first issue of Kingdom of Skulls is broken up into three smaller stories, the first and last focusing on history and worldbuilding, and the second serving up a brief standalone tale that evolved from writer and artist Ray Wegner’s 2016 Inktober exercises. The first and third stories benefit from writing that helps to orient us in the Kingdom of Arion, known colloquially as the Kingdom of Skulls. There’s a lot of info to take in, but the writing is delivered in the plain and concise style of a timeworn oral history. I was pleased to see characters just briefly touched upon in the first story reappear for further elaboration in the third. As for the art, Wegner throws tiny ink splatters across the crisp black-and-white pages of the first and third chapters, linking the atmospheres of the pieces with a satisfyingly gritty texture. The artwork in the second story is a slightly simpler version of the art found in the rest of the book, and while this offered a clear delineation between it and the interrelated first and third, I missed the harsh roughness of the two bookends. Of the three, it was this second story that I found to be the weakest link, though it also had my favorite panel sequence of the book: a plague is systematically and suddenly taking the lives of the kingdom’s inhabitants, and while the king strategizes with one of his most trusted advisors, the advisor succumbs to the contagion right before his and our eyes. The king’s reaction is pretty choice. The story’s not a bad one, by any means, and in fact is nicely mythologizing, but I thought the threat to the kingdom was dispatched far too quickly and easily. I dig that the book is truly hand-lettered, something that seems relegated to indie comics these days. The slightly uneven spacing and ghostly pencil marks peeking from behind the inked letters furnishes the whole book with a humanistic and primitive feel, perfect for the stories of a line of kings who use the skull of an ancient beast as both crown and helm. Kingdom of Skulls #1 is a strong debut for a series that clearly has plenty more stories to tell. I’m dying to learn more about the men behind the bony masks, and to meet the kingdom’s women, too. These guys are creating lines of succession somehow – here’s hoping the story won’t be entirely limited to fathers and sons, uncles and nephews. most out of them. But the thing I do get out of them is that they’re big and bombastic and they generally have consequences. Well, at least until the next one. But I know Watchmen and I thought hey, this might be for me! 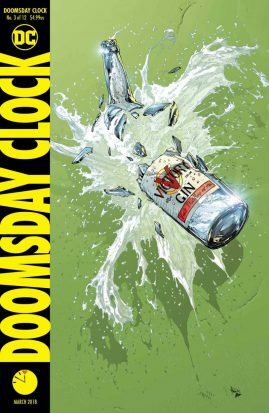 Three issues in and I don’t really understand why Doomsday Clock exists. Why was it necessary to bring the *Watchmen* characters into continuity with everyone else? Why in this way? Crossovers and large multi-issue stories present the opportunity to do something big. 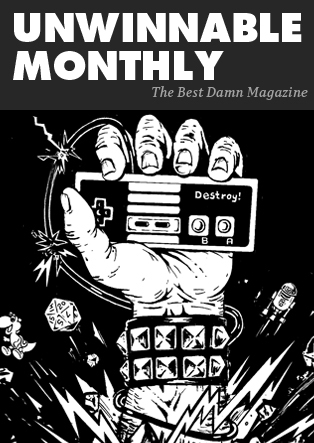 Instead, three issues in and this one feels like a colossal wet noodle. discovered he has a gun but for what? Why is any of this? Where is it going? Apparently, it was moving towards the moment that The Comedian was resurrected, or maybe cloned? In the original Watchmen, Rorschach finds his trademark button covered in blood on the streets after Detectives Fine and Bourquin investigate the death of Eddie Blake. But in *Doomsday Clock* we see Blake alive and the button fall and still end up in the Batcave. So what happened? Did Fine and Bourquin not find a body on the street or just a dummy? Did Rorschach pick up a second version of the button that didn’t end up in the Batcave? It doesn’t really make any good sense for this to happen. I’m sure there is a reason but I have no confidence that it will stand on its own legs. A good retcon takes an existing piece of lore or history and puts a new spin on it that heightens its importance or changes the way we read a specific moment. A bad retcon looks back and only imagines how cool it’ll be the table is flipped. But what is the point? I understand the intrigue that could come from finding out that the DC universe as we know it today was mucked about with by Doctor Manhattan. What would it be like for so many determined, purpose-based characters to just find out a mostly naked blue guy has been responsible for their anguish? But Manhattan is really the only character from *Watchmen* who was worth bringing over. Everyone else had run their course. They were broken people living in a world balanced on a lie the shape of a pin point, but Manhattan was the enigmatic one who seemed to have room left in his story.